MB&F HM3 Horological Machine No. 3 in Rose Gold, Star Cruiser. 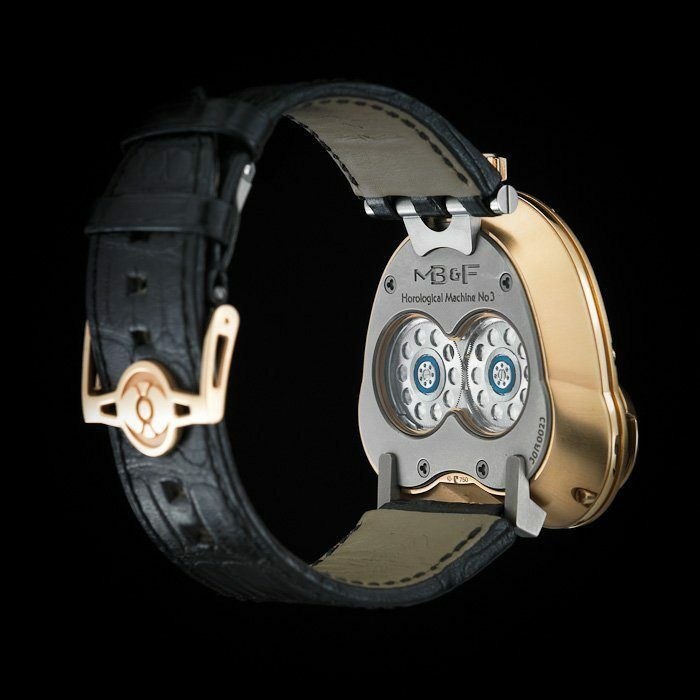 MB&F is a contemporary, creative genius, and this piece is the horological equivalent of a Picasso or Rothko. 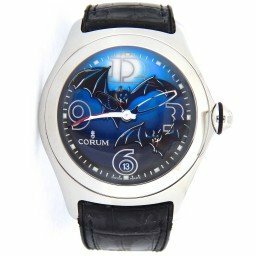 This watch is hard to find as there is exteremly limited production, and it is rarely seen on the secondary market. 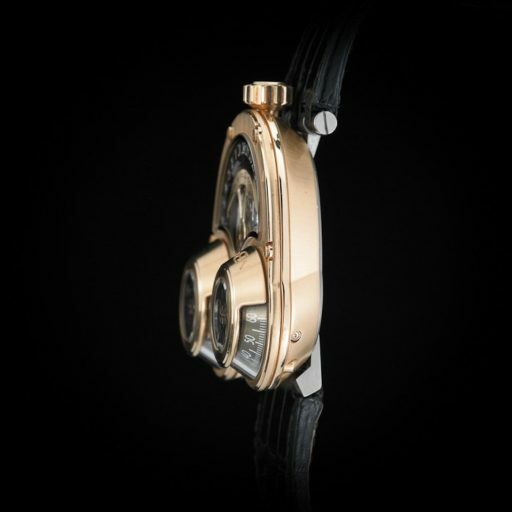 This is the Star Cruiser model of HM3, which offers a symmetric shape, as compared to the asymmetric Side Winder model. 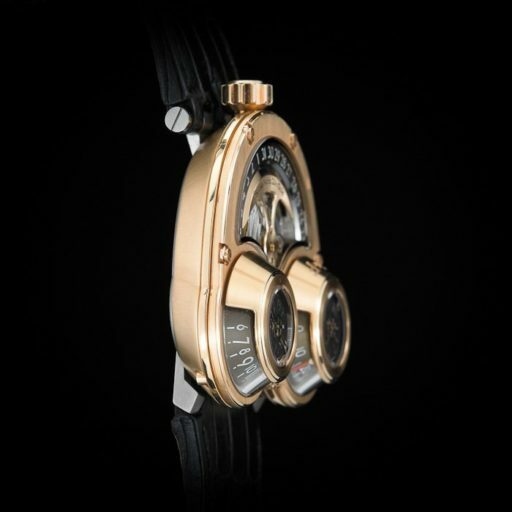 Although it is a personal preference, many people find the Star Cruiser to be more desirable, easier to read the time, and more asethetically pleasing because of the symmetric shape when the watch sits on your wist. Horological Machine No. 3 is so far outside existing timekeeping references that it may cause sensory overload. Developed to display the machine’s beautifully finished movement in operation, it reveals harmoniously crafted bridges, rapidly oscillating balance wheel, gearing and distinctive battle-axe shaped automatic winding rotor. 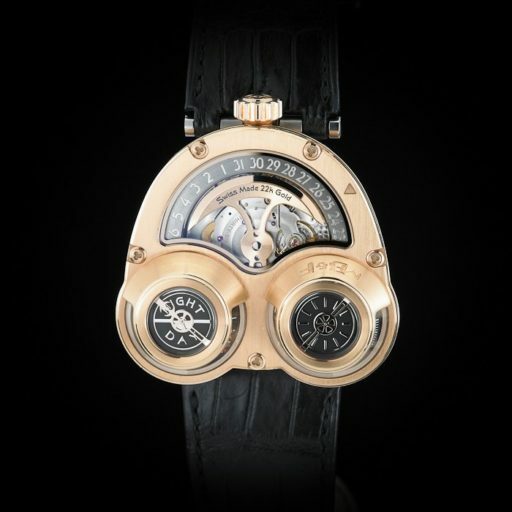 The wearer can then fully appreciate the art and craft that makes up Horological Machine No. 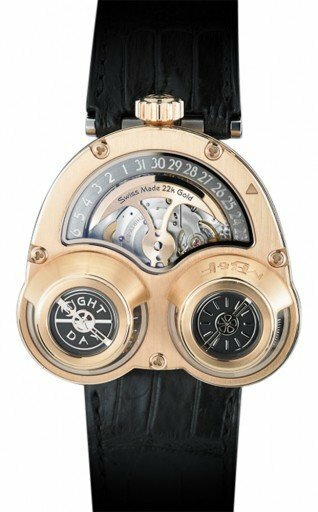 3 and draws one’s gaze inside the highly complex machine; a machine comprising more than 300 fine-finished, high-precision components. 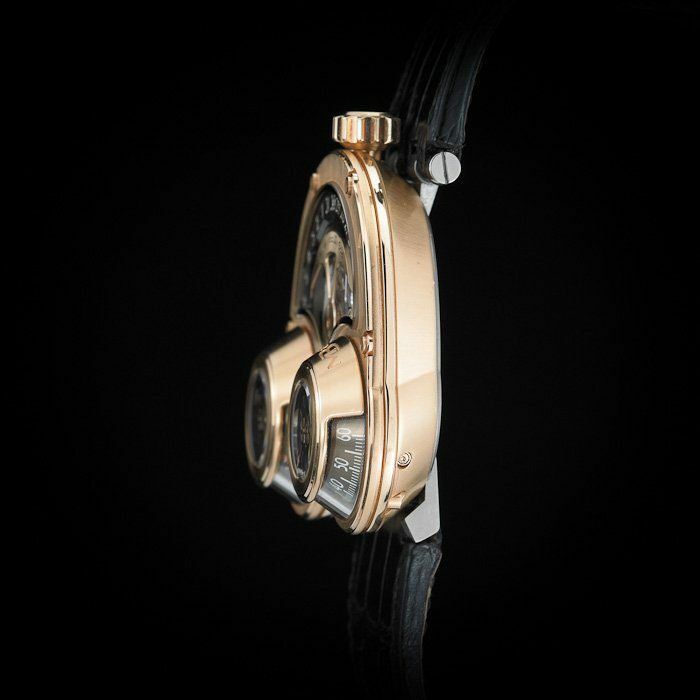 Turning the watch over reveals the technical secret behind its inverted movement: two large high-tech ceramic bearings efficiently transmitting power up to the cones and date wheel..
18K Rose Gold Deployant Buckle. Carefully Owned by a Collector and Worn Only 4-5 Times. Comes with Original Inner Metallic Box (Shaped Like a Globe), Outerbox, Papers, and Pin.